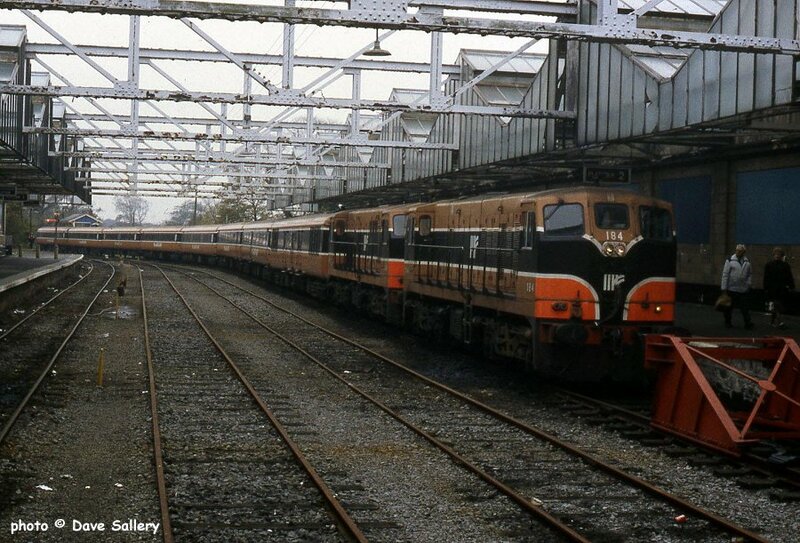 159 on a suburban working from Dublin Connolly at Maynooth, 26 October 1993. 159 has run round and 184 and 149 are on the Sligo train, 26 October 1993. 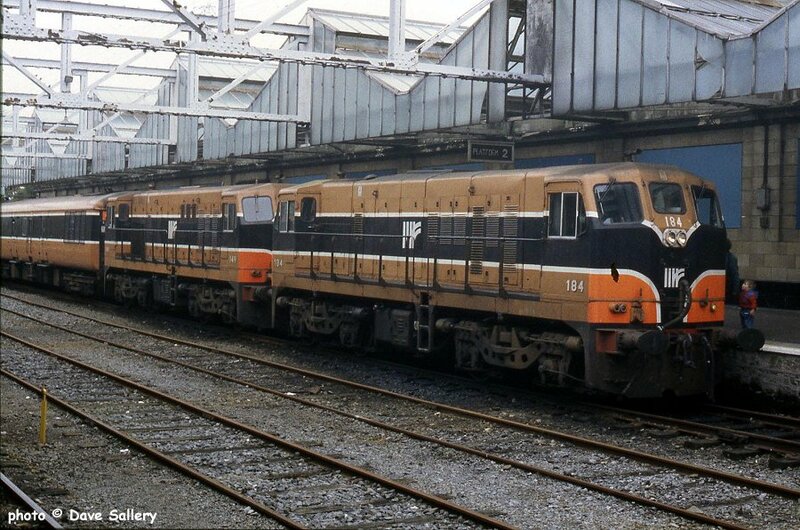 184 and 149 on arrival at Sligo, 26 October 1993. 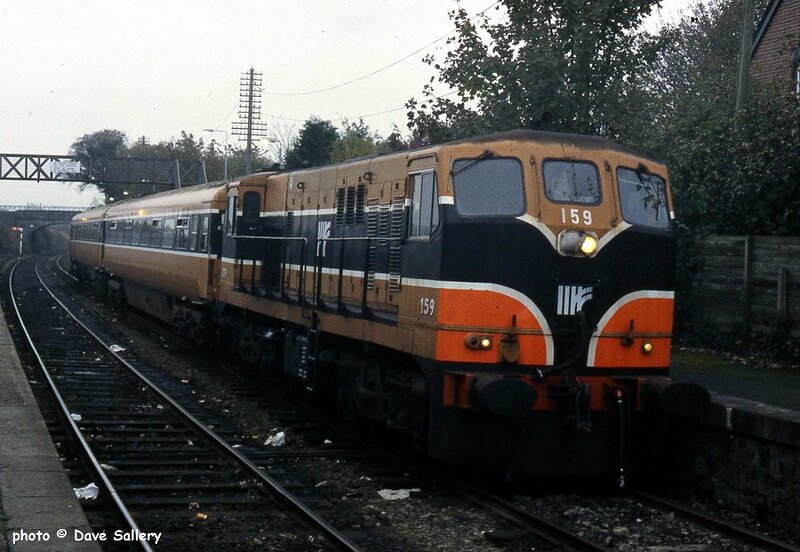 185 and 188 at Edgeworthstown, 26 October 1993.